New Orleans-based rapper Juvenile was born Terius Gray. After beginning his performing career while in his teens, he released a 1995 album on Warlock titled Being Myself. He eventually crossed paths with Cash Money label owners Ronald "Suga Slim" and Brian "Baby" Williams, who issued 1996's Solja Rags; the album became a major underground hit, and set the stage for the release of 1998's 400 Degreez. In 1999, with Juvenile's popularity growing, Solja Rags was reissued nationally, and Warlock jumped on the bandwagon with a remixed version of Being Myself. The year ended with the release of a new studio effort, Tha G-Code, followed by Project English two years later in 2001. 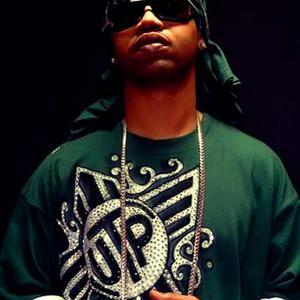 In 2002 he left Cash Money and formed his own collective, the UTP Playas (Uptown Project Playas), with whom he recorded a posse album, The Compilation. The album went nowhere and a year later he was back on Cash Money and releasing Juve the Great which featured the chart-topping hit "Slow Motion". The 2005 single from the UTP Playas "Noila Clap" was another big track and Juvenile was ready once again to shopping for a new label. As he was signing a new contract with Asylum his Slidell, Louisiana home was destroyed by Hurricane Katrina. The hurricane and its grim aftermath were hot topics on his 2006 album Reality Check.